On Virtual Reality in Gaming. With the recent release of the Nintendo 3DS I could not think of a better time to write this article. Whether you were too young, forgot, or just plain blocked it out the video game industry had kind of an obsession with virtual reality in the early 90s. It seemed as if everyone was pointing to virtual reality as the future of computer and more importantly video games. Imagine being IN the game. How rad would that be? Not as rad as everyone once thought as evidenced by the fact that no one is throwing on a VR helmets every time they want to play Halo. It was however the focus of a lot of research. Let me take you on a journey through the rise and fall of VR in video games by the two most prominent companies of the day. Firstly, let me start off with the big question, “What the eff is virtual reality?” It is basically the total immersion of oneself into a virtual space. It was mostly done by putting on a helmet-type apparatus with screens and motion sensors in it. When you move your head so moves the scene. You are also given some way of interacting with the environment either by a controller or by the system detecting your movements. It’s a very nebulous concept, but one everyone was sure they wanted. Think of the Holodeck on Star Trek. 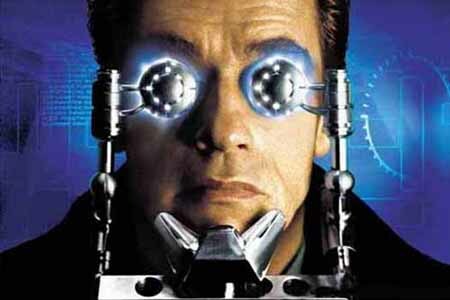 That would be the ultimate goal of Virtual Reality, complete world replacement. Sega was arguably the first to try its hand at VR announcing the Sega VR in 1991. It was an add-on to the popular Sega Genesis. This was exactly the kind of thing people were looking towards as the future of gaming. It was an apparatus you stuck on your head with LCD screens inside that tracked your head movements. Not much is known about it because it was canned two years later. The cause of its cancellation was said to be due to the experience was SO REAL that users would forget they were in a game and injure themselves whilst moving. The real reason was probably because testers were getting headaches and motion sickness. The last time it was seen was in 1993 at some trade shows. I have provided a video for your amusement. This is probably the most prominently known venture into VR and goes by the name of Virtual Boy. I will not assume you all know what it is so here is a little background. It’s important to understand Nintendo’s philosophy to understand the inception of the Virtual Boy. Nintendo has always been about using technology that has been tried and true. It’s not cutting edge, but the fact that it has been around allows developers and engineers to use it easily because it’s understood. It also makes the systems cost effective and cheaper for the consumer. The NES used a modified 6502 and the Game Boy used a modified Z80 as their CPUs both of which were considerably dated even when the systems came out. Everyone was hyping VR and Nintendo wanted a piece of the action. The Virtual Boy codenamed VR32 was lead by Game Boy creator and personal hero Gunpei Yokoi. It was Nintendo’s attempt at consumer level VR. It went through some drastic changes in its development process and more fundamental VR ideas such as a head-mounted unit where the screen would move as the player did were scrapped early on. 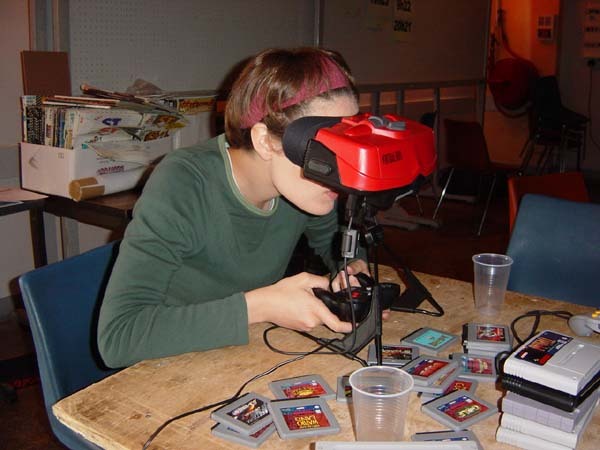 The Virtual Boy’s claim to fame wasn’t so much that it produced a life-like VR experience, but that it allowed the user to see in 3D much like the 3D that is shown in movie theaters an homes today. The illusion of depth was created much the way your eye perceives depth which is a difference in images between your right and left eye. Although Yokoi insisted more time was needed to tweak the Virtual Boy, it was rushed out the door so additional resources could be allocated for Nintendo’s next big venture, codenamed “Project Reality”, which would later be known as the Nintendo 64. It released in July, 1995 in Japan and August, 1995 in the US. Rushing the system out lead to poor sales and a low adoption rate for third-party developers. It is generally considered a major flop by the gaming industry. Even worse there is much speculation that Gunpei Yokoi, the head of the VB team, was blamed for its failure and was ostracized by Nintendo forcing him to leave the company. There were numerous problems that plagued the system. There were only two colors the system had which were red and black, which many found to be unacceptable. The problem was that LEDs were expensive and red LEDs were the cheapest and used the least power so to keep the cost manageable and battery life high they built it with only red LEDs. The intensity of the red LEDs was said to cause headaches in some users. The fact that it was marketed as a “portable” system was misleading and lead many people to think that it was a replacement for the Game Boy. This was of course false, it just meant that it could be transported easily as the system is fairly self-contained and can be powered by batteries. This one stood out to me: the system comes with a compartment for 6 AA batteries and no AC adapter even though the system needs to be played on a tabletop. The AC adapter was an extra accessory you had to buy, which I think is a poor choice. As mentioned above it has lousy third-party support and at the end of its life had only 22 games available in US and Japan. Despite it’s many shortcomings I do believe it was a pretty neat system. If Nintendo had spent a little more time on it, the Virtual Boy might be remembered fondly in the great Nintendo lineage. Being an owner of this console I can attest to the fact that the 3D effect is actually pretty great. 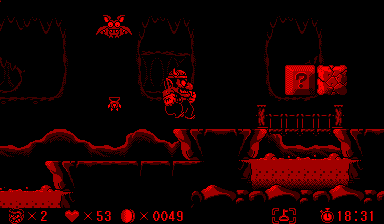 It also has one of my favorite games, Wario Land. I’m sure many people, including myself, hope this gets emulated and released on the 3DS. What we can extrapolate from all this is that the world thought they wanted virtual reality, but in reality (see what I did there?) probably did not. Although, in direct contradiction to my conclusion I will say that we are moving back in that direction in terms of gaming, just maybe not in such obvious ways. With the release of the 3DS we not only have augmented reality, but portable, affordable 3D in games. The 3DS is the ultimate culmination of what the Virtual Boy was trying to be. On top of that we have the Kinect, which allows you to interact with objects in a virtual space without the use of a controller. 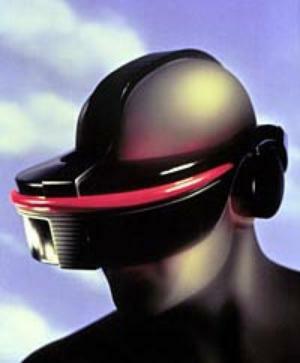 With all these burgeoning technologies we might end up close to the original theory of VR that we originally thought. Previous PostPrevious On Poetry Month – Poem 1. Next PostNext On Poetry Month – Poem 2.